Gintoki and his Yorozuya friends , Shinpachi and Kagura, continue to scrape by in the futuristic, alien-infested city of Edo. They take on whatever work they can find while trying not to get involved in anything too dangerous. 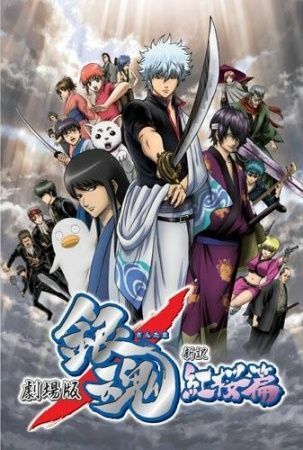 But when Katsura, the leader of the Joui rebels and Gintoki's long-time acquaintance, disappears after being brutally attacked by an unknown assassin, Shinpachi and Kagura begin an investigation into his whereabouts and the identity of the assailant. Meanwhile, Gintoki takes on a seemingly unrelated job: the blacksmith Tetsuya requests that Gin recover a strange and powerful sword called the Benizakura which was recently stolen.